We have seen that pre-natal/intrauterine mortality rates are low in hedgehogs (about 3%) and it seems that post-natal mortality is higher. In a short paper to the Journal of Zoology in 1977, Pat Morris calculated that, based on a sample of 76 maternal nests, almost 20% of hoglets die before they’re weaned at a month old. Morris’ study also suggested that mortality in the nest wasn’t evenly distributed; it particularly affected larger families. Overall, it is estimated that 70% of hedgehogs die within their first year; half of those during their first winter. July also appears to be a significant month for hedgehogs being killed on roads, particularly juveniles. In animals generally, it is relatively common to see a high mortality rate among yearlings, declining dramatically if an individual makes it past its first birthday. In the case of hedgehogs, adult mortality seems to decline to about 30% per annum. Sources of mortality can be broadly grouped into one of four categories, each dealt with separately: Predators; Disease/Parasites; Environmental, which includes the perils of climate and hibernation; and Misfortune, which incorporates accidents and most detrimental human encounters. There are some cases of deliberate injuries caused to hedgehogs by humans, but these are thankfully rare and appear largely to be committed by teenagers. 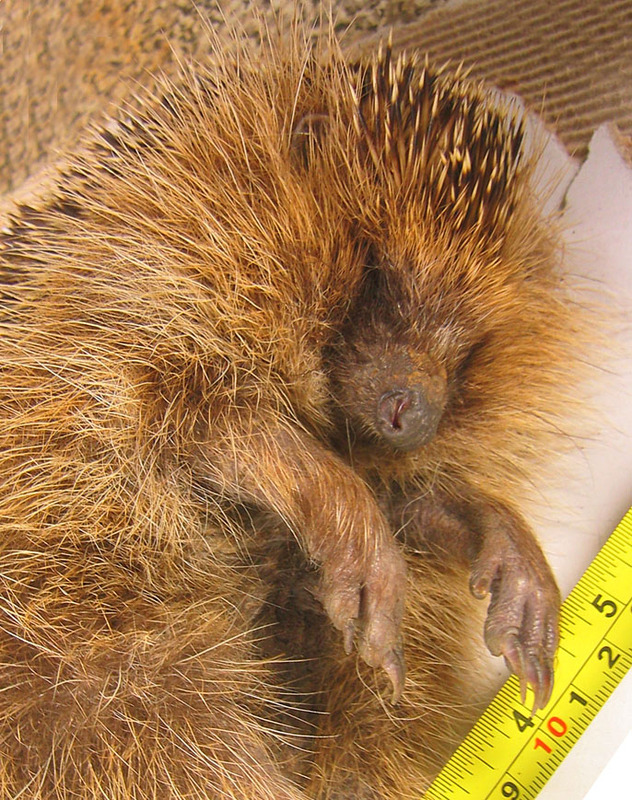 Most instances of hedgehogs injured or killed by human activity appear to be accidental.